I posted this below discussion to LinkedIn and wanted to share one key insight from a commenter. 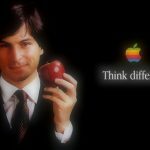 We all know the Steve Jobs story about dropping out, in more than 1 ways, and running a multi-million dollar company by the time he was able to rent a car. I have a forward thinking, one-of-a-kind IT Evangelist without a BS. How do I get employers to even consider him AND where do we even find a VC type organization willing to invest in him? This guy has stories and the background to prove he will impact the bottom line. He knows that he is limited and he knows getting the degree would be most beneficial. Still, what kind of strategy and avenues will be most efficient? Matt, of course Steve Jobs should be considered an exception not the rule. Yet you have a point, i am also convinced that your your guy can use his experience and maybe analyze (from a distance) by using his experience. Forget the degree, I would consider he has already earned it. Thus, let him make a business-case aimed at a particular company, in a similar field from where he has worked, call it a unsolicited request, and prove how he can contribute to the bottom line. If want it to be less direct, just erase any names and call it trial business case. Send it to the company together with his resume so they can get a taste of what would happen if they hire him. Human nature being curious, I am sure he will get some more chances than he now has. If the employer comes to think that your guy first of all is able to evaluate their position from a distance and also come up with useful suggestions /contributions and solutions, this should trigger their interest.